Adderall is a prescription medication used to treat ADHD and some of the symptoms of Narcolepsy. It is also one of the latest prescription drugs that people abuse. According to the National Institute on Drug Abuse, some teens and college students think that Adderall improves academic performance in people who do not have ADHD. There is no evidence supporting this claim. In fact, it is the opposite. Most students who abuse Adderall have a lower GPA and lower test scores. This does not stop people from becoming addicted to the drug. With Adderall it is important to know the difference between dependence and abuse. People who have a legitimate need for the drug are dependent. They need the drug to continue to function normally and take it as prescribed. People who are addicted to Adderall do not take it as prescribed. They might only take it when they need to study but they take it in increasingly large amounts. They might also take it recreationally for the high that they get by swallowing, snorting, or injecting it. This is where it begins to cause major issues. Adderall is an addictive stimulant. It causes everything from nausea to hallucinations, aggressive behavior, and psychosis. This is why it is important to know your options and seek treatment if you think you might be addicted. Holistic treatments can help you overcome addiction for good. While there are many techniques used to help you overcome addiction, there are only three main types. These three types of treatment for Adderall addiction are counseling, clinical, and holistic. 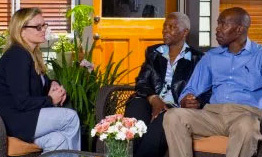 Counseling – a therapist uses various behavioral training techniques to teach you to deal with the cravings and cope with the situations that might lead to relapse. Clinical – A doctor uses medicine and medical treatments to help you with the addiction and stop the effects of withdrawal. They also can prescribe medication for the underlying disorders that cause the addiction. Holistic – holistic practitioners use a variety of techniques to help you deal with the addiction and the circumstances in your life that led up to it. is often what the court requires for treatment. more flexible and completely voluntary. is the best and worst of both inpatient and outpatient treatment. Each of the treatment types are available in each of the treatment programs. Most inpatient, outpatient, and combination programs contain a mix of medical treatment, counseling, and holistic therapies. Stimulant withdrawal is very complex. The after effects go beyond just physical and emotional withdrawal. The lack of motivation, lack of interest, and depression that follows the withdrawal is often devastating. It is sometimes considered worse than the addiction itself. Holistic therapies are designed to treat both the physical and emotional symptoms of withdrawal but the after effects as well. It treats the addiction and the lack of motivation that follows. You should choose the treatment or treatments that work best for you, your schedule, and the level of addiction. Holistic treatments are traditionally easier on the body than many medical treatments. It is also a good idea to consider holistic medicine when other treatments have failed. Relapses are common after rehab even with a prescription drug like Adderall. Wouldn’t you want to use all of the tools at your disposal to prevent this? Holistic treatments also have a lasting benefit. You can continue to use the ideas, practices, and exercises you learn as part of your holistic treatment to improve other areas of your life. It works for addiction as well as stress management, depression, anxiety, lack of energy, and a number of other mental, physical, and spiritual problems. How Long will Adderall Rehab Take? The length of Adderall rehab is up to you. The amount that you put into it is what you will get back out of it. By utilizing all of the tools available to you, you are able to shorten your recovery time considerably. This does not mean that you will not experience the primary and secondary effects of Adderall withdrawal, it simply means that you will be able to handle it better. The same concept works for cravings as well. These behaviors are considered symptoms of withdrawal and can pop up weeks and months after stopping it. This is part of what makes Adderall withdrawal so unpleasant. Since these symptoms continue so long after rehab it makes the rehab last longer than rehab with other drugs. This is why holistic therapies are so helpful with this type of addiction. Holistic therapies give you the tools to deal with this long after recovery officially ends. Adderall rehab generally has three stages. There is the initial detox, the counseling, and aftercare. During the initial detox your body will go through physical withdrawal. While unpleasant, it is not particularly dangerous. During this phase your doctor or treatment specialist might prescribe herbal or traditional medicines to help. During the treatment or counseling phase, you will learn things that will help you deal with the rest of the withdrawal issues and get your life back on track. The combination of learning and discovery that takes place during this phase is extremely important to long term success. In the aftercare phase, you learn to apply the techniques to everyday life situations. This is the phase that you take everything that you learned and apply it to the situations that might come up causing you to use again. What Does Adderall Rehab Cost? Is Insurance Accepted? The type of rehab, luxury and midrange rehabs often cost more than government funded rehab centers. Amenities offered in the rehab, the extras also cost extra money. Inpatient, outpatient, and combined rehabs all have different costs. Insurance covers many rehab services. Most rehabs have financial counselors who are available to help you through the paperwork for both insurance, sliding scale subsidies, and government funding. Most rehabs offer some sort of financial help and many insurances are accepted by rehabs. There are many places you can go for help. If you are in school, your school probably has addiction resources, the same goes for most employers. You can also go to your community health department, your doctor, a hospital or counselor. There are national numbers to call and other phone resources as well. Once you make the decision to quit, finding help is not difficult. Adderall Rehab Recovery, What happens Next? Once you make the decision to stop taking Adderall everything else will fall into place. What happens after rehab is entirely up to you. You can take what you have learned in rehab and apply it to the rest of everyday life. You can start to rebuild and regain what you have lost. Abusing Adderall for any reason causes both long and short term problems. If you are using it to increase academic performance it eventually has the opposite effect. Most people who abuse Adderall wind up with a GPA of less than 3.0. Unfortunately your body is becoming dependent on the drug and getting off it before it does permanent damage to both your academic performance and your body is important. It is time for a change. By using both traditional and holistic rehab methods you can not only get away from the drug and stop the damage, you can also learn lifelong ways to naturally improve your performance.